A turf-cutting ceremony has marked the start of a £3m development in Bourne to provide new homes in the town centre. The project, run by South Kesteven District Council's commercial company Gravitas Housing, will bring 20 two-bedroom apartments and five three-bedroom town houses, along with 25 parking spaces, increased from 20 following public consultation. The Deputy Leader of South Kesteven District Council, Cllr Kelham Cooke, said that attracting residents to come and live in the town centre was an essential part of the council's vision for the district. He said: "The council commissioned a survey by a national property firm that not only identified a low supply of town centre homes but also highlighted a buoyant demand for quality properties in Bourne, which is within commuting distance of Peterborough. "Wherry's Lane will, therefore, help us deliver much-needed high quality new homes for Bourne right in the heart of the town, with a wide range of shops, services, facilities and employment opportunities within easy walking distance. The new development will contribute to the vitality of the town." The project's design reflects the neighbouring historic mill, as well as fitting in with contemporary properties at Wherry's Lane and providing a sense of enclosure in keeping with the character of this historic market town. Planning agreements will help the nearby Hereward Group Practice health centre with £11,000 to meet increasing patient numbers. A further £454,000 will be set aside to help provide affordable housing off site. The Gravitas project, next to Bourne Conservation Area, will be built by contractor RG Carter in sympathetic red brick with slate tile roofs and frontage to both Burghley Street and Wherry's Lane, with a four-storey focal point at the junction of those streets. Senior project officer Gemma Harte said: "The ceremonial turf cutting marks a significant milestone in the construction of 25 new properties for the town centre. "This is the first of a pipeline of schemes for Gravitas Housing and we are determined for it to be a success. Not only will this project offer a new market housing product in Bourne it will, as a result of the planning agreement, generate much needed affordable homes in the town too." Gravitas Housing is a wholly-owned commercial housing company giving SKDC the opportunity to acquire, develop and manage housing and commercial residential property in the private sector. 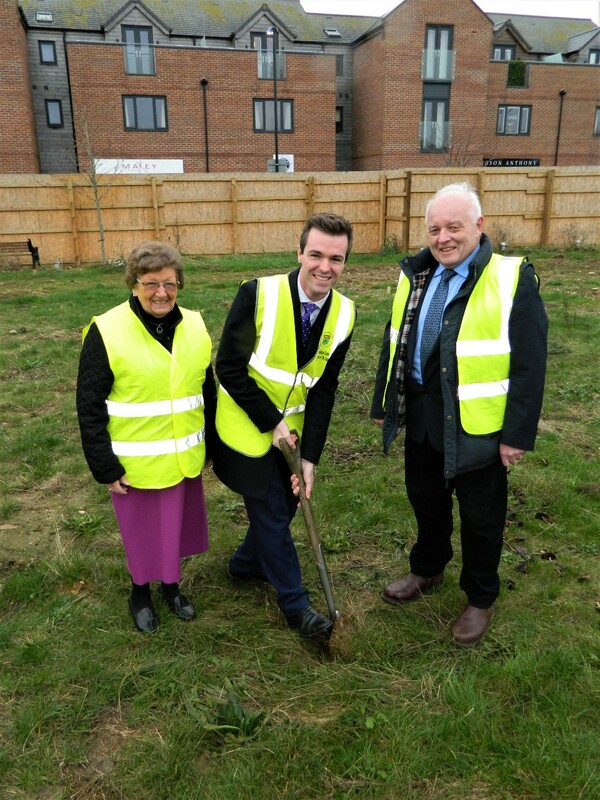 Picture: Deputy Leader of South Kesteven District Council, Cllr Kelham Cooke (centre) cuts the first turf at the new development, with Cllrs Barry Dobson and Jacky Smith. All three are on the shareholder committee for Gravitas. For media enquiries:Email the SKDC communications team at pr@southkesteven.gov.uk or phone 01476 406498 or 406440.